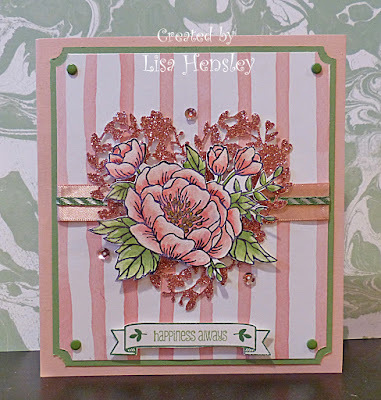 The Shabby Stamper: Birthday Blooms! The new Blushing Bride glimmer paper is absolutely gorgeous! I've never been a Blushing Bride fan, but it's beautiful with the Birthday Bouquet DSP and the glimmer paper. This is stunning Lisa! Your card gives me a good idea of how large the new thinlit is. Happy New Year to you!